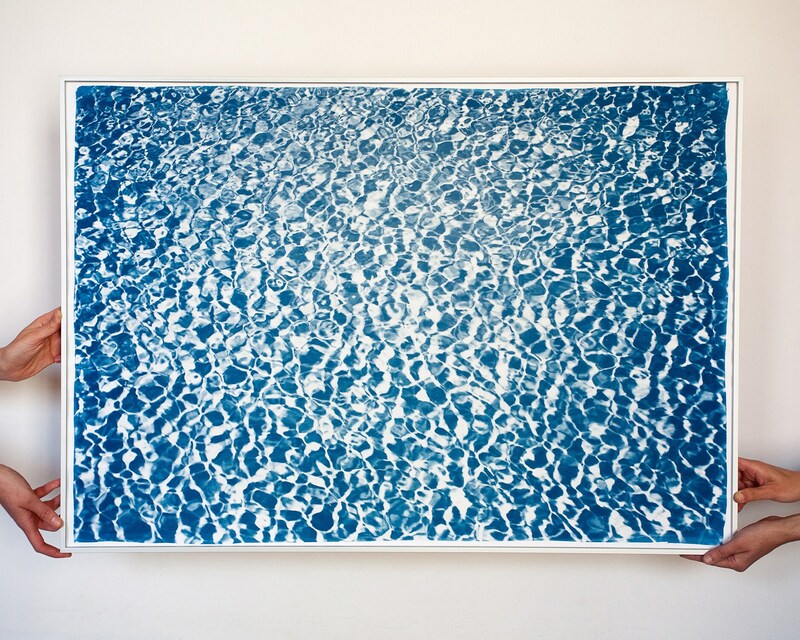 This is an exclusive and handprinted limited edition of a cyanotype print. 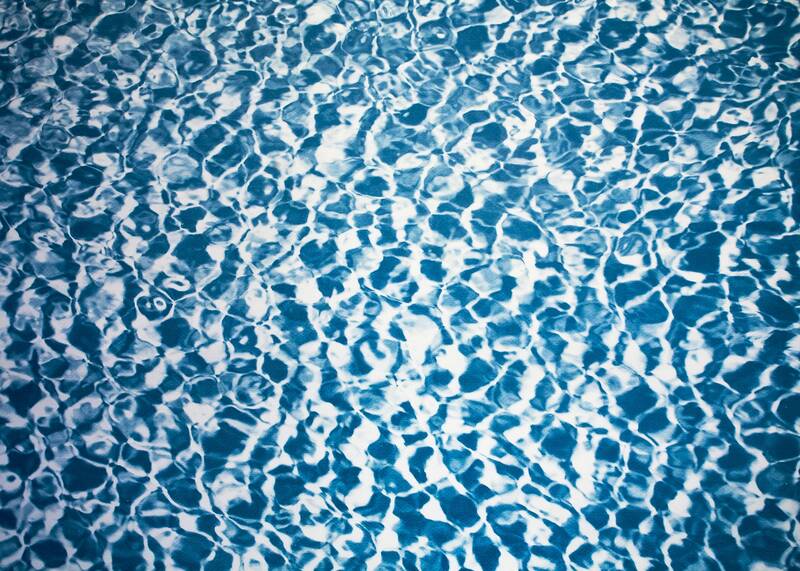 This is a sophisticated image that captures the water reflection on an Infinity Pool. + Stamped and Certified of Authenticity provided. + The paper measures 100cm x 70cm (about 40 in. x 28 in. ), a standard frame size. + All prints are made on high-quality Italian watercolor paper. The cyanotype (a.k.a. sun-print) process is one of the oldest in the history of photography, dating back to the 1840's. Cyanotypes were then made famous by Anna Atkins, considered the first female photographer! Inspired by nature, we feel the need to look back at a craft that is handmade, analogue, and using an all-natural light source: the sun. 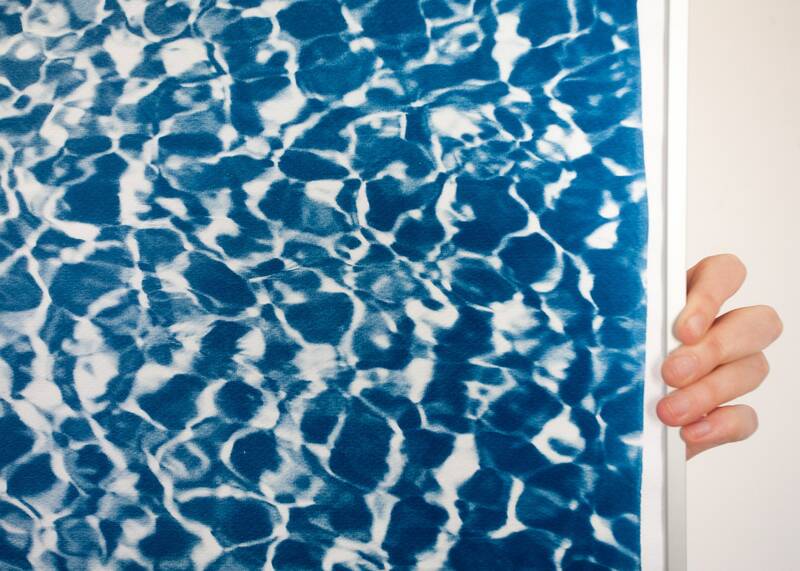 Our cyanotypes are made by coating high-quality Italian watercolor paper with a light-sensitive emulsion. We then expose it in direct sunlight for several minutes using a photo negative to get the best image quality. Finally, the print is washed and fixed with water to stop the reaction and prevent fading. 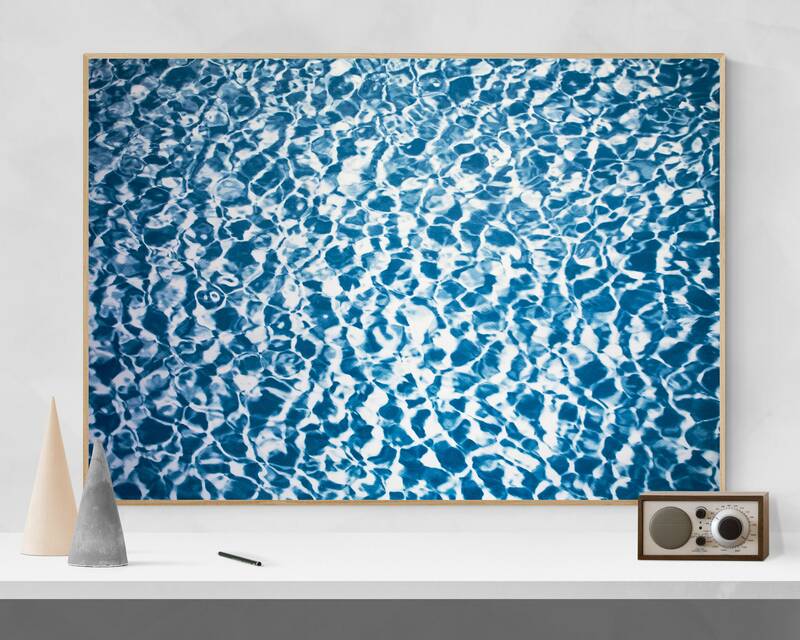 What you get is an amazing, royal blue image... with absolutely no ink involved! And since each print is handmade, tones will give gorgeous, subtle variations. 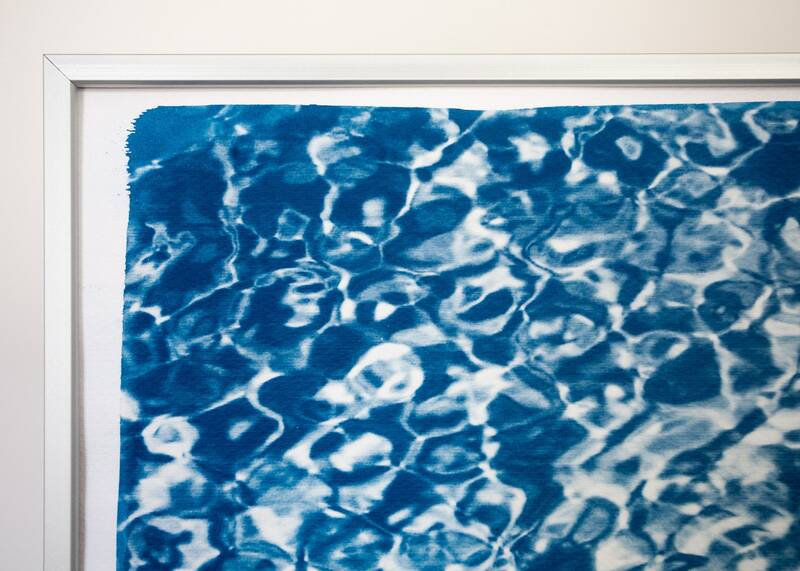 The beauty of cyanotypes is that each print is absolutely unique. .